William G. Pestor, 79, of Florence and formerly of Marion, departed this life on Thursday, July 12, 2018 at Florence Health Services. Bill was born on June 20, 1939 in Elgin, IL, son of the late Emil and Lucille (Meyers) Pestor. 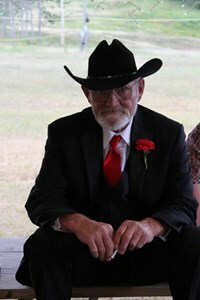 He enjoyed working as a farmer and truck driver all of his life. Bill enjoyed spending time with his family especially his grandchildren. He is survived by his son: Bill (Kay) Pestor Sr. and son-in-law, Gene Zergoski. He also leaves his grandsons, Thomas (Anne) Pestor, and their son, William and Gerrett (April) Kordus and their sons, Gavin, Ashton, and Rhylan. Bill also leaves two brothers, Richard and Michael Pestor, in addition to numerous nieces, nephews, extended family and friends. He is preceded in death by a daughter, Debra Zergoski, grandson, William Pestor Jr., brothers, Gerald, Leron, and Gordon Pestor, sisters: Marge Enright, Pricilla Edmunds, Inez Schumacker, Elaine Grossman, and Linda Pestor. Private family services will be held at a later date. Interment will be in Commonwealth Cemetery. Newcomer - Green Bay Chapel is assisting with arrangements. Bill's family wishes to express their thanks to the caring staff of Florence Health Services for the care given to Bill on his final journey. To share of memory of Bill with his family please click on the share memories button above. Add your memories to the guest book of William Pestor.